The first Norwich City of Ale festival starts this week. The first Norwich City of Ale Festival begins later this week. We created a new logo, visual identity and website for the festival, so you will find our work in some of the finest public houses of Norwich over the next week or so. 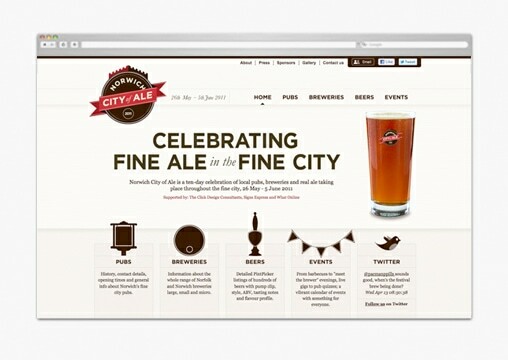 The City of Ale website includes full lists of the pubs and breweries involved, a calendar of events and a database of the ales on offer in participating venues. Included with the list of ales is a taste guide and review for each entry courtesy of the Pintpicker website. The festival kicks off on Thursday 26th May with a launch party at St Gregory’s Centre for the Arts that features an appearance from esteemed ale connoisseur Roger Protz. We hope to see you there! 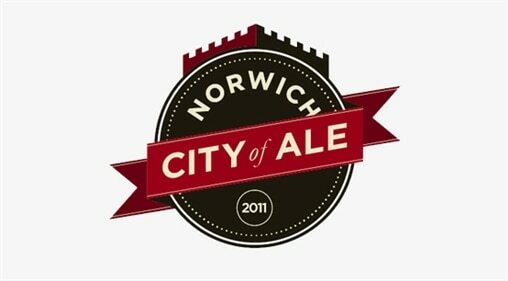 You can read more about the project here, and visit the Norwich City of Ale website here. Norwich City of Ale unveil their new logo.